Today: Go Roman for your Christmas roast. 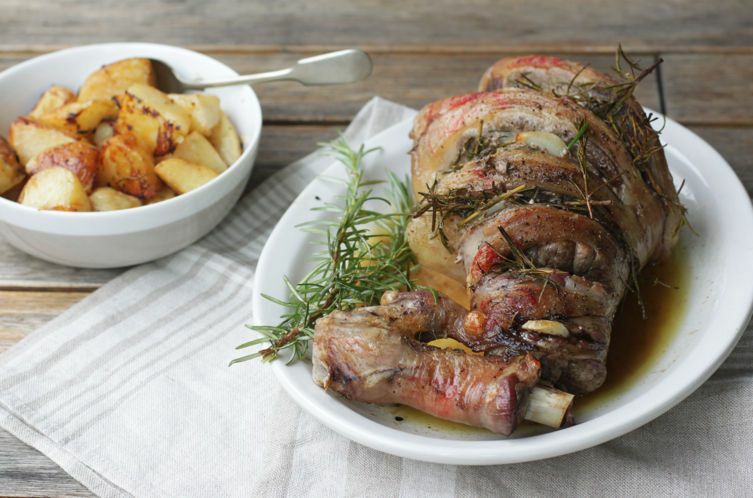 This may look like it is just a roast lamb. But it's not just any roast lamb. This is abbacchio, the roast leg of lamb that graces Roman tables for special occasions, usually Christmas and Easter. And for it to be real, true abbacchio -- we're talking about a delicacy famous throughout Lazio -- it must be milkfed or suckling lamb. Proper abbacchio romano (a product that even has prestigious Protected Geographical Indication status) is a delicate and lean specialty that follows ancient traditions and seasonal cycles: The free-range mother sheep graze on the open pastures of Lazio, producing full-flavored milk for their babies, which in turn produces healthy, happy, and delicious lamb. And when it comes to butchering, another tradition makes sure none of the lamb is wasted; lamb offal is an enduring specialty of Roman cuisine, particularly pajata, the intestines of the milkfed lamb, tied to keep in the ricotta-like natural filling and served in a hearty sauce with rigatoni. Next to abbacchio a scottadito (piping hot grilled lamb chops eaten with hands) and abbacchio alla cacciatora (lamb stewed with anchovies, rosemary, sage, garlic, and vinegar), abbacchio al forno is one of this central Italian region's claims to fame in the kitchen. While the leg is small, it often comes with ribs and kidneys attached so you have more to work with. 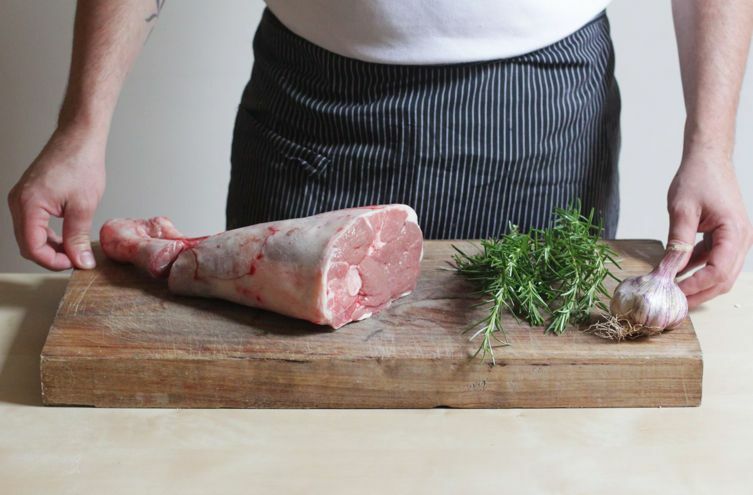 When doing this with regular grass-fed lamb, you could even use half a leg if it's quite large. Shoulder can also be used instead of leg -- again, with ribs attached if possible, or if working with a larger lamb, half a shoulder. 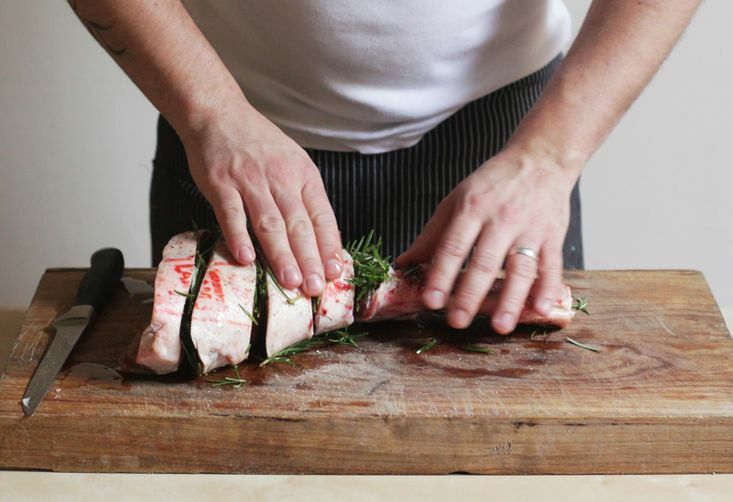 The lamb is prepared by slashing it deeply, almost as if cutting it into thick slices. It's traditionally flavored with garlic and rosemary, with lard (or olive oil) rubbed all over. The final step -- the roasting -- is best in a wood-fired oven (for those lucky enough to have them). This is one of the simplest versions of this classic dish -- some add fresh sage or bay leaves; others add white wine vinegar in place of or together with the white wine; others don't use them at all. 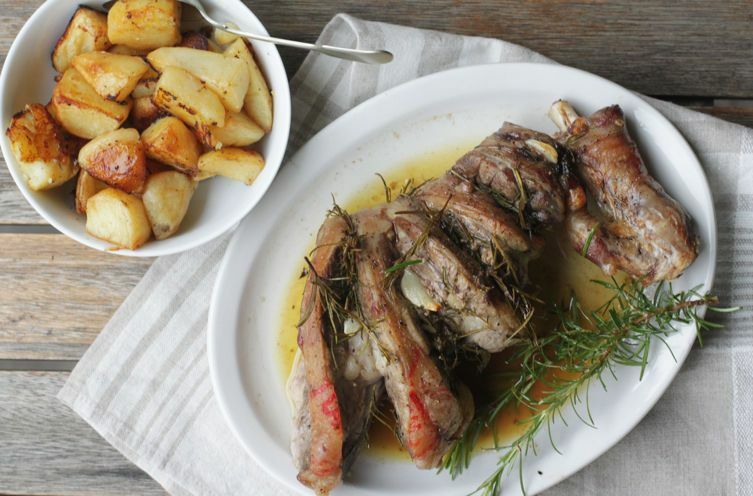 It is always cooked and served with potatoes, which become crisp and golden as they cook and soak up the lamb's juices. They will be some of the tastiest potatoes you have ever had. Read the full recipe (and save and print it) here. But they do get to enjoy a wonderful life, cared for and shown the beautiful Italian countryside where they reside with family. They are spared the later tragedy of life, ailing bodies, injury, and other stressors of growing past the joy of youth. These young lamb are given the best lives while being mercifully taken from the bad they would live uncared for in the wild.